India’s 7936 cities and towns with 377 million urban population are the engines of social transformation and economic development. These provide 60 per cent of the GDP and 70 per cent of the jobs. It is projected that by next 20 years India will add 200 million urban population. However, Indian cities face huge challenges of urban growth and shortages of infrastructure services, transport and housing. 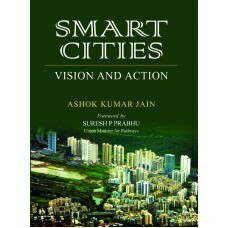 By a visionary approach to India’s urban growth can take a quantum leap. The vision is to develop 100 new smart cities and also transform existing urban centers into smart and sustainable settlements. This means that a city, like a human being, is infused with intelligence, integrity and inclusion, with state of art infrastructure services, better connectivity, efficient and safe transport and housing. This will make our cities, sustainable, efficient, productive and beautiful.